Our guide to Butcher Block offers detailed descriptions of companies such as John Boos & Co. and Teragren. Specialists in countertops for kitchen or bathroom in various materials such as solid wood, butcher block, stainless steel, copper, concrete, zinc, glass, pewter and bronze. 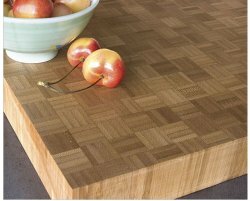 One of the oldest and largest butcher block manufacturers, Michigan Maple Block Co. was founded to serve the needs of butchers. Today, their products are available to commercial clients as well as homeowners in maple, oak, ash, black cherry, black walnut and teak. 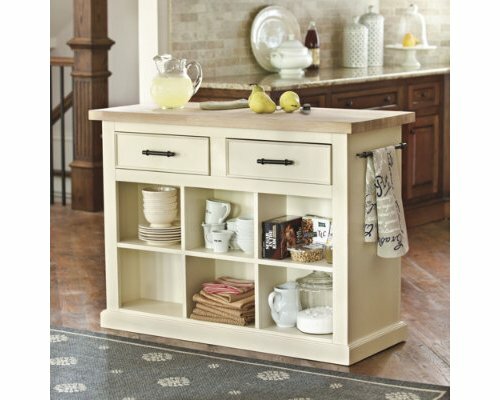 This small, family business designs and builds custom solid wood tops for islands and counters, as well as butcher blocks. Butcher block countertops built with "old world joinery," with special attention paid to finishes. An island that doesn't require an ocean-sized kitchen.